A second postacard from ILSE ERMEN, sent from Lampaul Plouarzel, France. I made a rough translation form German: "fernweh is my very own motivation, i wanted to go away early in my life, only away from here, the lower rhine. someday, finally, around my 20th birthday, after I laying on a sack at home for one year, I packed my little suitcase and took the train to paris, to register for the entrance examination for the local art academy (which was not quite state of the art, already back then), beach the accepted me over there, i stayed for a while, approx. 6 years. during this entire time and the following period I travelled foam a to b more frequently: across europe and the near east, south america. (although i never pounded the numbers of all the things one should have seen, i hate tourism) movement became my second nature, and if somebody suggests me to travel for recreation i can only laugh. 4 weeks at the very same place are a recreation already. returning to the village, like many people strive for their retirement, would be the equivalent of a death sentence to me." 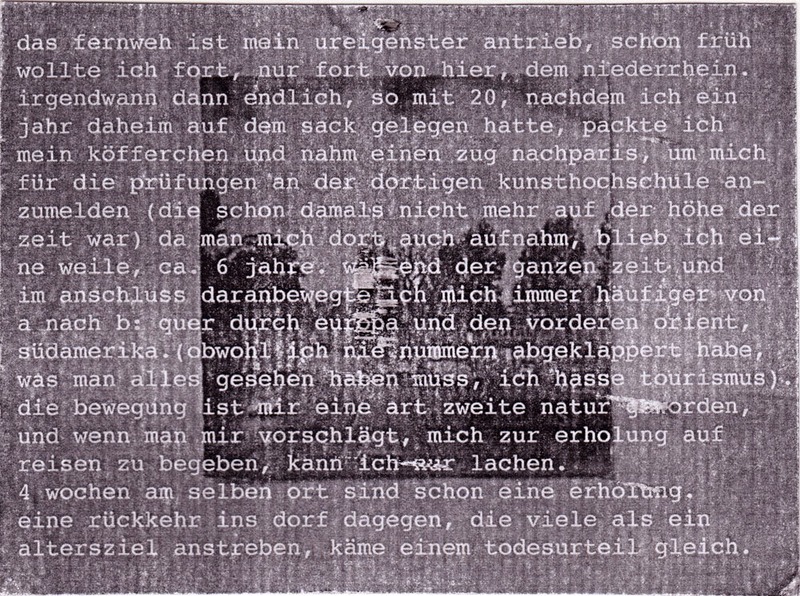 Ilse i a conceptual artist with a very close realtionship to language, words and a postcards and many other things. I always enjoy converstions with Ilse, not only because of her very subtle and intelligent sense of humor. She really has an eye for the concealed, but nevertheless interesting oddities of life and language. 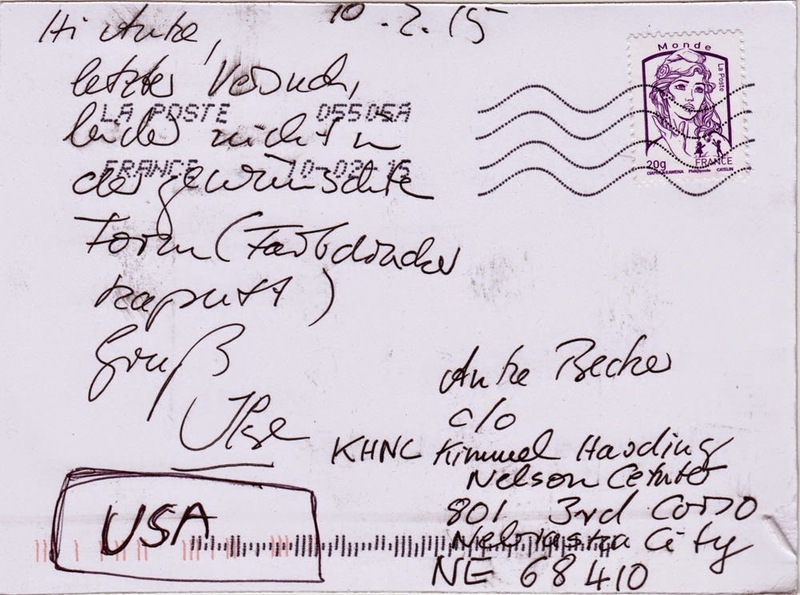 I already recieved another Fernweh postcard from Ilse: here.